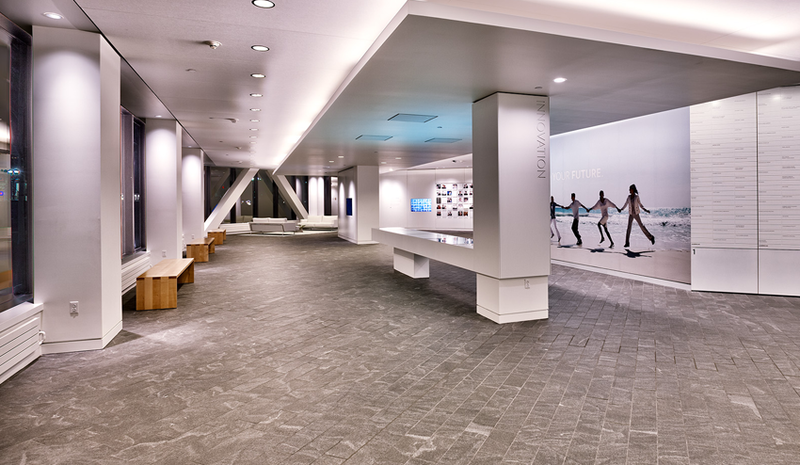 KEPCO+ installed nearly The Nu Skin Innovation Center features nearly 60,000 SF of natural stone as part of the Nu Skin Innovation Center. 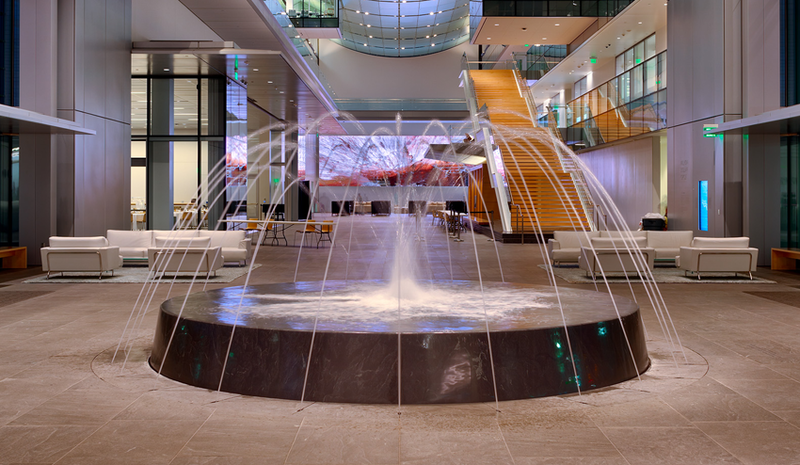 The gorgeous atrium features Virginia Mist granite floors in three different finishes as well as an eye-catching circular granite fountain. One of the project’s most unique features is the 26’ long hull-shaped desk fabricated out of two large blocks of Carrara Marble. 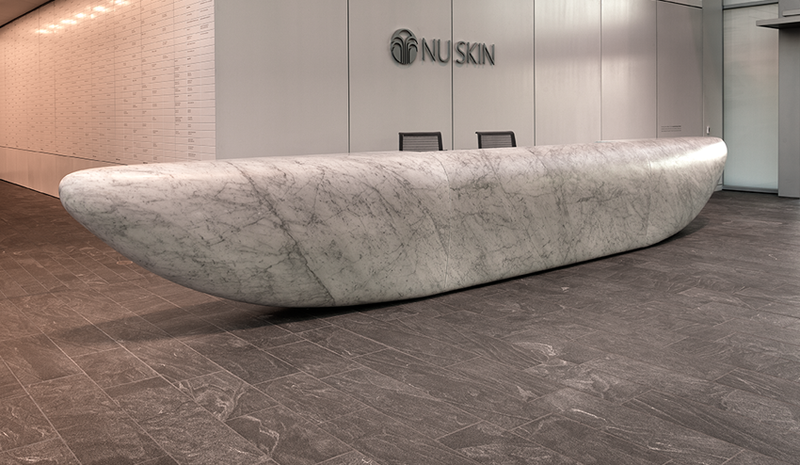 A feat of modern design and innovation, the desk curves in such a manner that only a strip of stone 8’ long and 3” wide makes contact with the floor. 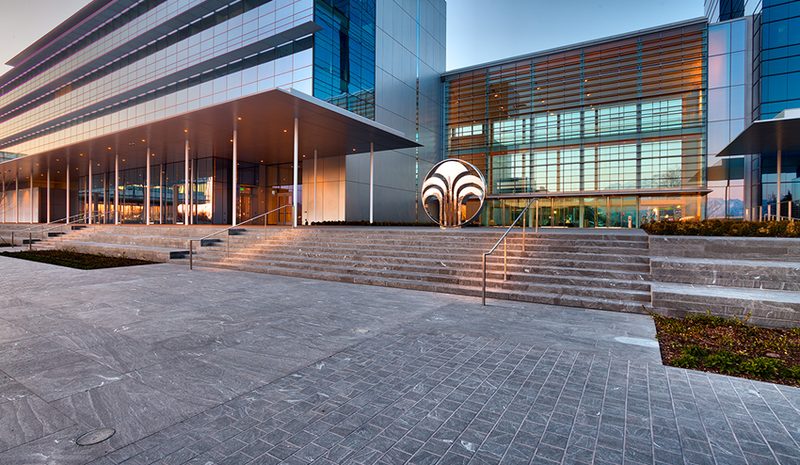 In addition to the interior stonework, KEPCO+ also installed 33,000 SF of exterior site work and paving.